Access to and use of this Website and the products and services available through this Website are subject to the following terms, conditions and notices (By using the Services, you are agreeing to all of the Terms of Service, as may be updated by us from time to time. You should check this page regularly to take notice of any changes we may have made to the Terms of Service. We do our best to ensure availability of all our products and endeavour to dispatch all orders within the quoted time frame. If there is a delay or problem and we are not able to supply the product to you within the quoted time frame we will inform you of this and the product will be despatched as soon as it is available. 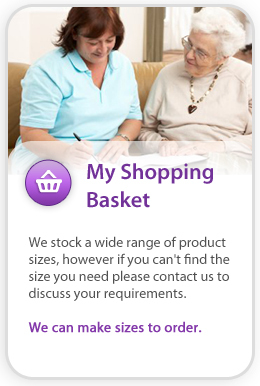 If your order is made up of multiple items, some items may be dispatched separately. If this does happen, you will only pay one delivery charge. Occasionally we find ourselves having to cancel and withdraw a product because it is obsolete, discontinued or otherwise unavailable. In these circumstances we will inform you immediately and offer you an alternative if one is available. Whilst we try and ensure that all details, descriptions and prices which appear on this Website are accurate, errors may occur. If we discover an error in the price or availability of any goods which you have ordered we will inform you of this as soon as possible and give you the option of reconfirming your order at the correct price or cancelling it. If we are unable to contact you we will treat the order as cancelled. If you cancel and you have already paid for the goods, you will receive a full refund. If a delay has occurred and you are unable to wait any items that have not yet been despatched can be cancelled without penalty by contacting with our customer care team . Payment over the Internet can be made by Visa, Visa Electron, Visa Delta, MasterCard, Maestro and Solo, or PayPal. Alternatively, you can pay by bank transfer. Please note that if you choose to pay by bank transfer, your order will not be dispatched until the transfer has been cleared by your bank and we have received confirmation of receipt. Please note that if you are sending payment by, bank transfer the items that’s you have ordered will be reserved for 7 working days only, after this time the item will be put back on sale and may become unavailable. For orders being delivered within the UK (mainland), we use a next day delivery by a Courier service (to be signed for). For orders being delivered to UK (offshore-Northern Ireland, Isle of Man,Isle of Wight,Scottish Highlands/ Offshore and the Channel Islands) we use Royal Mail post and a Courier service (to be signed for). For all orders being delivered outside of the UK, we aim to deliver to Europe or Worldwide to within 9-10 working days. We can only accept items returned to us within 30 days from the date your order was despatched. Please thoroughly inspect any item you order from us on receipt as we will only accept products returned to us in their original condition and fit for re-sale unless we have been given prior notice that an item is faulty. Delivery charges are non refundable unless the item purchased is faulty or incorrect. If you would like to exchange for a different product that is less than the item you are sending back, we will refund the extra amount to the card that you paid with. If you no longer have your packing slip, please just include a note with the above information making sure to also include your delivery address, order number, e-mail address and phone number. The item is your responsibility until it reaches us. For your own protection, we recommend that you send the parcel using a secure delivery service that insures you for the value of the goods and that has a tracking facility for you peace of mind. We cannot be held responsible for parcels lost on return to us. We will send out your exchange or process your refund upon receipt of the return - please allow up to 14 working days. We will not disclose information about our customers to third parties except where it is a necessary part of providing a service to you. We will never rent or sell your name, address, e-mail address, credit card information or personal information to any third party. We will only e-mail you if you have subscribed to our newsletter or made a purchase from us. We will give you the chance to refuse any marketing email from us in the future. We do not pass your email or address details to third parties. You must not misuse this Website. You will not: commit or encourage a criminal offence; transmit or distribute a virus, trojan, worm, logic bomb or post any other material which is malicious, technologically harmful, in breach of confidence or in any way offensive or obscene; hack into any aspect of the Service; corrupt data; cause annoyance to other users; infringe upon the rights of any other person's proprietary rights; send any unsolicited advertising or promotional material, commonly referred to as "spam"; or attempt to affect the performance or functionality of any computer facilities of or accessed through this Website. Breaching this provision would constitute a criminal offence under the Computer Misuse Act 1990. 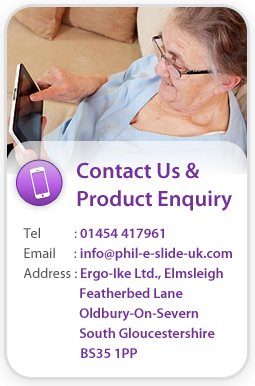 Phil-e-slide-uk.com will report any such breach to the relevant law enforcement authorities and disclose your identity to them.